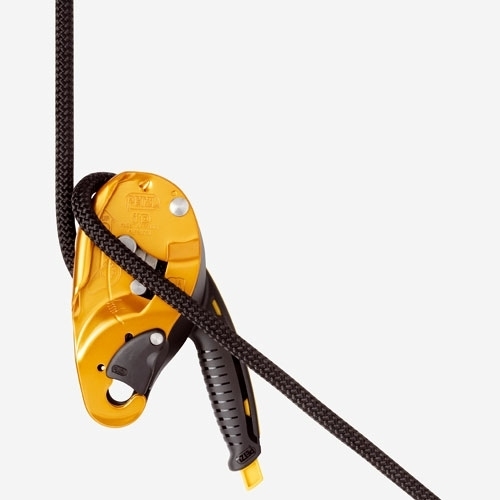 The I'D L self-braking descender is primarily designed for technical rescue. It has a multi-function handle that allows control of the descent speed, positioning at a work station without the need to tie off the device, and fluid movement along inclined or horizontal terrain. The integrated anti-panic function and anti-error catch limit the risk of an accident due to user error. I'D L's rugged construction makes it particularly suited for hauling and lowering heavy loads. I’D L is designed for rescue: no gate.